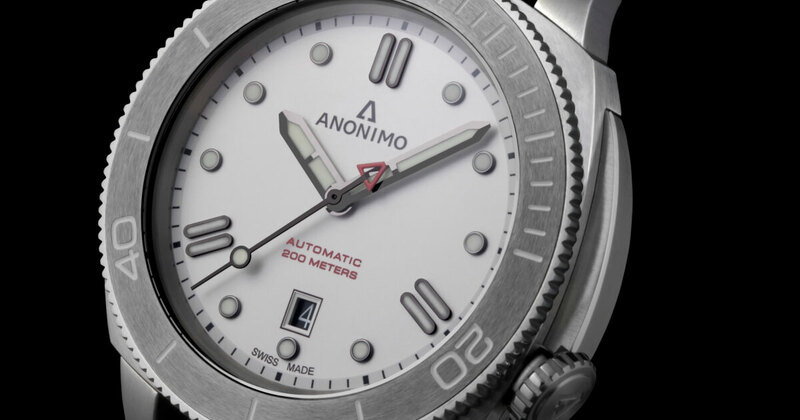 To mark the occasion of 20 years of the brand's existence, the Anonimo Nautilo is presented with an unusual face, worthy of Italian elegance, and for the first time comes with a white opaline dial. 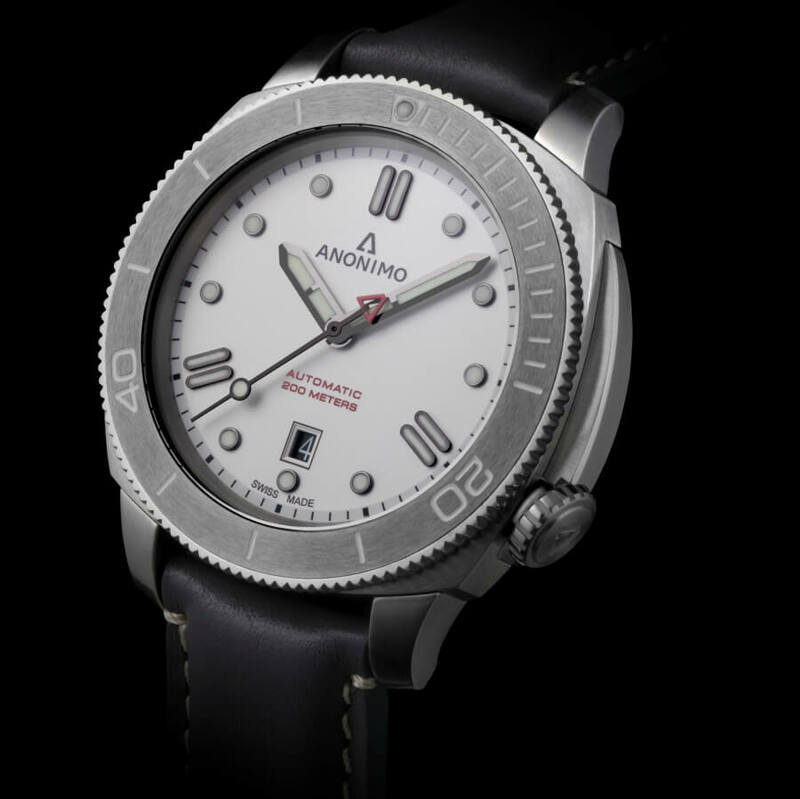 This latest model contrasts with the bi-color scheme of the rest of the watch range, being either gray or black depending on the version. Distinguished and sporty, the Nautilo Bianco is more than ever ready to hit the snow-capped peaks with style. The white gold, expected in record volume this winter, has already sprinkled some mountains as well as the new Nautilo Bianco. Available in two models, the dark color of the calf leather strap matches that of the new ceramic bezel, bringing out its opaline dial with elegance and subtlety. 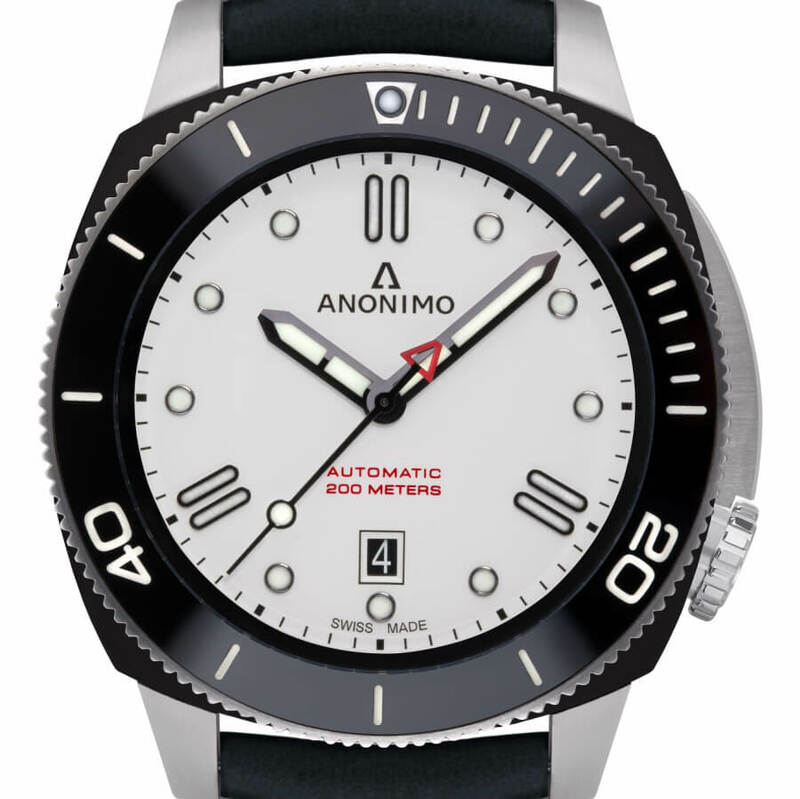 The contrast between the black and gray, through either a bicolor DLC and stainless steel or a stainless steel case, depending on the version chosen, brings out the brilliance of the new face of this Nautilo. While the work done on the slightly domed sapphire crystal brings a sense of finesse, the graduated ceramic bezel adds depth and brilliance to the overall aestheticism. On the dial, the luminescent marking indexes and needles and an inner rail allow a better reading. As for the applied indices at noon, 4 o'clock and 8 o'clock, they have double sticks and evoke the A of Anonimo. This triangle arrangement is not just one of the characteristics of the brand, but also ensures a perfect readability of the date at 6 o'clock. 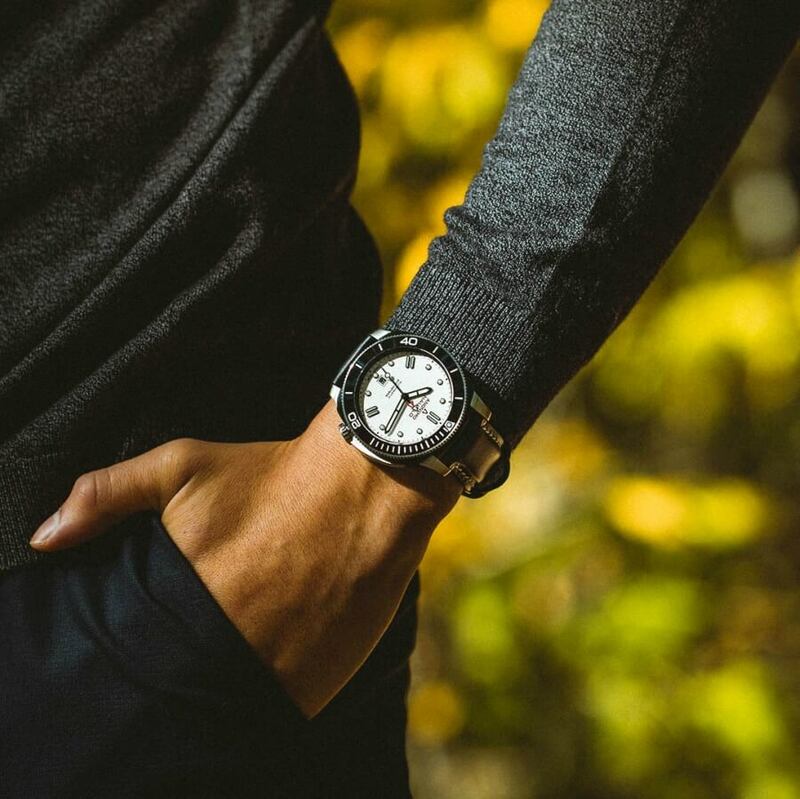 Like the entire Nautilo collection, this timepiece is equipped with the robust Sellita SW200-1 automatic movement, locked in a dry, snow-safe environment. With its 44.4 mm case, it is imposing in its all-terrain look.